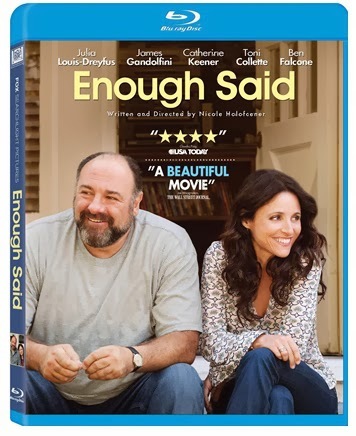 Divorced mom Eva (Louis-Dreyfus) may be falling for Albert (Gandolfini), a sweet, funny, like-minded divorcé. But as their relationship blossoms, Eva befriends Marianne (Keener), who’s always complaining about her ex-husband. When Eva realizes that Albert is the target of Marianne’s rants, she begins to question her own perceptions about first impressions and second chances. 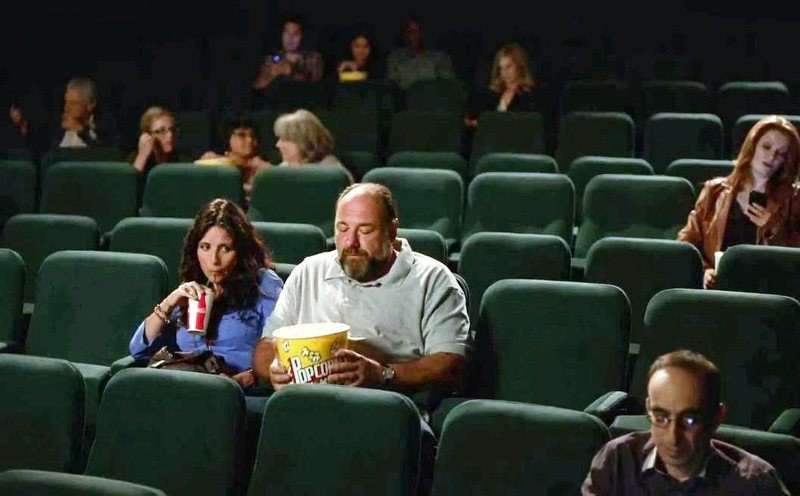 Director Nicole Holofcener brings together a talented cast starring Julia Louis-Dreyfus (Veep, Seinfeld), James Gandolfini (The Sopranos), Catherine Keener (Capote), and Toni Collette (The Sixth Sense). When divorced mom and masseuse, Eva (Julia Louis-Dreyfus), meets fellow divorcé, Albert (James Gandolfini) at a party. After awkwardly hitting it off, Eva and Albert begin falling in love. As Eva shares her happiness with her client and new friend, Marianne (Catherine Keener), she comes to realize Albert is Marianne’s ex-husband. Eva begins noticing Albert’s quirks and starts questioning her feelings and her impression of Albert. As time goes on, Eva and Albert get closer, Eva finds the things Marianne has said about Albert staying at the forefront of her mind and she’s unable to see passed them. Life with Albert gets more and more awkward and uncomfortable for Eva until she crosses the line at a dinner party and embarrasses Albert by pointing out a few of his quirks. While at Marianne’s giving her a massage, Tess (Eve Hewson), Albert and Marianne’s daughter, runs into Eva and Eva pretends she didn’t know Albert was Marianne’s ex-husband. That plan backfires when Albert walks in and see her. Albert is angry that Eva pretended she didn’t realize Albert and Marianne were married and stops seeing her. A few months after dropping her daughter off at the airport for college, just before Thanksgiving, Eva stops by Albert’s and they awkwardly admit to driving passed each others’ homes. Eva and Albert sit down and begin talking and cracking jokes, reminiscent of their first few dates. I really enjoyed watching this movie, as I had wanted to see it when it was in the theater. It was nice seeing James Gandolfini in his last role but also sad. After seeing him in The Sopranos, I enjoyed seeing his comedic side and he and Julia Louis-Dreyfus had great chemistry. Enough Said is presented in widescreen 1.85:1 and had a really good picture. Everything was bright and the outside shadows were sharp. The colors were crisp and clear and everything blended together. Nothing seemed out of place, brother or dimmer than anything else in the scene. Presented in English DTS-HD Master Audio 5.1 and available in English Descriptive Audio 5.1, Spanish Dolby Digital 5.1 and French DTS 5.1. Subtitles in English SDH (for the hearing impaired), Spanish and French are also available. I don’t know if it was the background noises around my house or the movie, but there were a few times I had to adjust the volume to hear what was being said. That mostly happened in the beginning of the movie, but seemed to remedy itself. In a scene where Eva and Albert are whispering, I had no trouble hearing what was being said and no volume adjustment was needed. I was hoping for more special features than this but I'll take what I can get. Second Takes – Funny outtakes from filming. I found myself laughing throughout the six minutes. 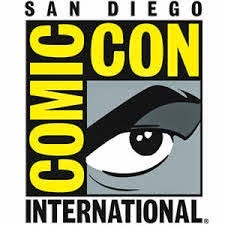 Promotional Featurettes – Five featurettes with interviews from the cast and crew. From the whole cast to the story to the director, to the Eva and Albert. It was interesting, but I would have liked a “play all” option for this. Theatrical Trailer – The official theatrical trailer for Enough Said. Sneak Peak – Trailers for upcoming the upcoming Blu-Ray movie releases: Baggage Claim, Romeo and Juliet, At Middleton, and The Way Way Back. 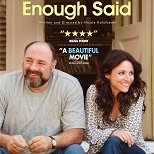 I really enjoyed watching Enough Said. It’s a cute, romantic-comedy that I think everyone will enjoy. I thought watching James Gandolfini after he passed away would make me sad, but instead it it made me smile, because it allowed me to see an actor doing what he loved and watching the outtakes gave me a new view on his humor and how he was as a person. If you enjoy watching actors make “rom-com” awkwardness look easy, then this is the movie for you.